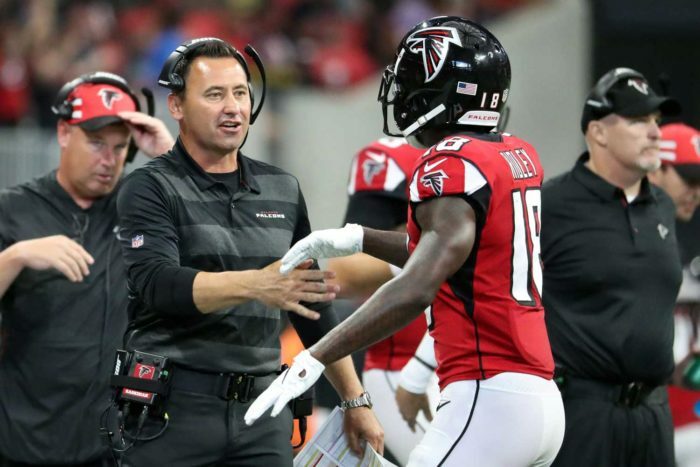 While head coach Dan Quinn survived a disappointing season, the Falcons did fire all three of their coordinators – offensive coordinator Steve Sarkisian, defensive coordinator Marquand Manuel and special teams coordinator Keith Armstrong. It would appear that this coming season will be critical for Quinn. Dirk Koetter is the new OC. Quinn takes over as DC. The new special teams coordinator is Ben Kotwica, formerly with the Washington Redskins. The Bills fired offensive line coach Juan Castillo, which was surprising because he and head coach Sean McDermott have a long history together; they worked on Andy Reid’s staff in Philadelphia from 2001-10. Castillo took over at defensive coordinator for McDermott when McDermott was fired by Reid after the 2010 season. The Bills o-line wasn’t expected to be good and they weren’t. They had to overcome losing a pair of veterans in center Eric Wood and Pro Bowl guard Richie Incognito. When the Broncos hired Vic Fangio as head coach, it was widely reported that Gary Kubiak — former Broncos head coach and long-time friend of team president John Elway – would become Fangio’s offensive coordinator. Then a few days after Fangio was hired, there was a change of plan. Kubiak surprisingly left Denver to take the OC job with the Minnesota Vikings. Bizarre. Speaking of bizarre, this was one of the more unexpected moves of the offseason. The Colts offensive line was arguably the most improved offensive line in football and a big reason why the team made the postseason. Yet soon after they lost to the Chiefs in the divisional playoffs, o-line coach Dave DeGuglielmo was fired. This was a surprise. Running backs coach Tyrone Wheatley, who was fired earlier this month, had been hired by Jaguars head coach Doug Marrone in 2017. Wheatley previously worked on Marrone’s staffs at Syracuse and with the Buffalo Bills. He might have been the fall guy for running back malcontent Leonard Fournette. The Vikings chose not to renew the contract of special teams coordinator Mike Priefer, who had been with the team since 2011. He is now the special teams coordinator with the Cleveland Browns. No coach spends more time with the players than the strength staff, and head strength and conditioning coach Chris Carlisle had been a staple of the team since 2010. He was hired by Pete Carroll at USC in 2009 and followed him to Seattle a year later. 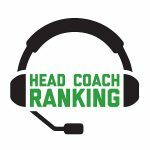 This is the second offseason in a row where the Seahawks have made significant changes to core members of the staff that came over from USC. Last year, they fired Kris Richard, who had been the defensive coordinator. This year, Carlisle was let go. New Bucs head coach Bruce Arians hired Todd McNair to be his running backs coach. McNair, a former NFL player who last coached in 2009 for USC, had been out of coaching since then – perhaps due to his alleged involvement in the Reggie Bush-related scandal at USC. This was a good opportunity for McNair to get back into the game – Arians was McNair’s coach back when he played at Temple.